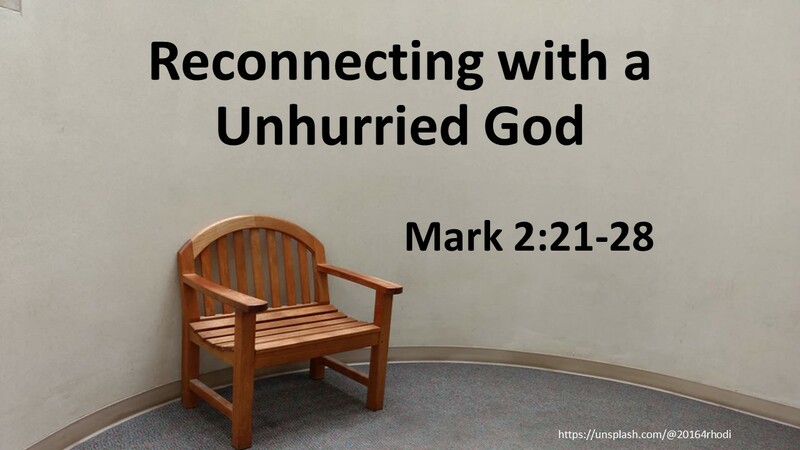 We’re coming to the last Sunday in our series, “Busy: Reconnecting with an Unhurried God.” I hope you have discovered a freedom to enjoy life and God and not be so hectic about things. Today we celebrate Palm Sunday. Are we too busy for a parade? In our text, today, we’re going to look at something different as we end this series. We’re looking at the Sabbath, which I’ve heard called the first labor law. God realizes that we all need to rest, just as God rested on the seventh day. But we humans often have a way of taking a good thing way too far and screwing it up, as we’re going to see this morning in an encounter between Jesus and the Pharisees. Read Mark 2: 21-28. Do you think the Pharisees might have been picking on Jesus for the wrong reason? 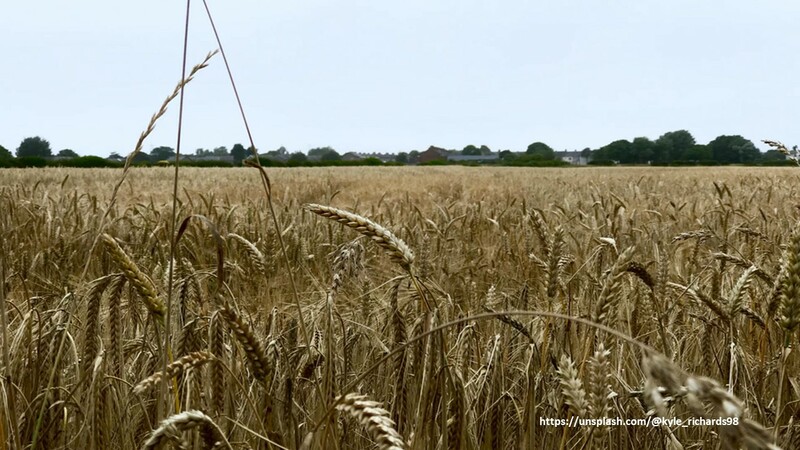 They get all over him for harvesting grain on the Sabbath, but don’t say anything about the fact Jesus and his disciples are in someone else’s grain field? Think about this for a moment as I go off on a tangent. I inherited my Presbyterianism from my great-granddaddy McKenzie. He was a strong church leader who served as an elder at Culdee Presbyterian Church for over 40 years. It was the church his father and grandfather help establish in those dark days following the War Between the States. Like most churches in the day, it emphasized the fear of God and the preacher regularly reminded the congregation about God’s judgment. My great-granddaddy often told stories about his life when he was a boy. Sadly, because I was just a boy, I never wrote them down. I wish I remembered them all, but a couple I do recall. One had to do with him goofing off one summer day when he happened by a neighbor’s watermelon patch. It was hot and those watermelons were tempting. My great-granddaddy took out his knife and cut one open. With his hands, he dug out the heart—that sweet center of the melon—and ate it. It was good, so good he decided to go for another. Soon, melon juice was running down his chin and staining his shirt. But boy, they were good. The few joys of a hot summer, in my opinion, are good tomatoes and watermelon. Now, as my grandfather was stuffing himself, something strange occurred. It was becoming cooler and the sky was darkening, which was odd since there were no clouds in the sky. Then the birds began to sing as if it was evening. He looked up and to his horror saw the sun, high overhead, disappearing. He dropped the melon he was working on and ran, as fast as he could in his bare feet, home. “I didn’t want to be caught in another man’s watermelon patch on judgment day,” he told me. At the time, he didn’t know it was an eclipse, which was perhaps good since he seemed to instill him with a healthy awe of the Creator. Jesus is doing something knew. Our passage begins with an illustration about patching coats and wineskins. This is probably not something any of us have experienced for we either replace our coats or take them to the tailor on Montgomery Cross. 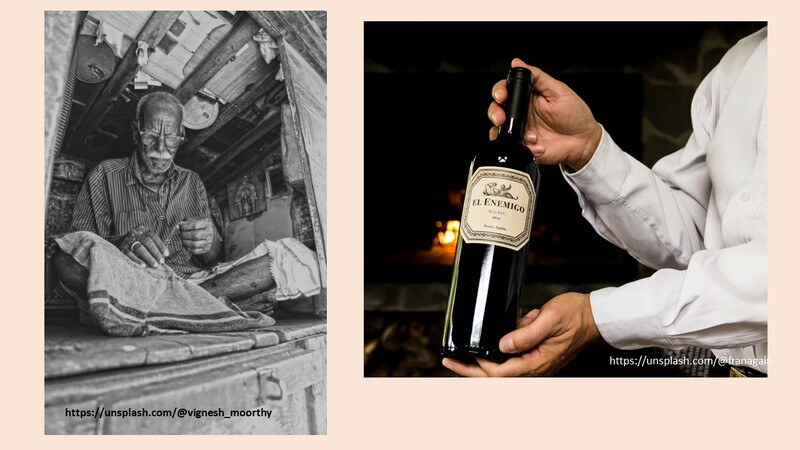 And our wine is aged in barrels and tends to come to us in bottles. But back in the first century, you had to patch your coats, and skins were used to hold wine. So you made sure the cloth you used to patch something was preshrunk and that your wineskins were new so that it would stretch and not bust open during the fermenting process. This illustration is followed by the story of Jesus and the disciples eating from a field on the Sabbath. Again, he’s doing something new and it doesn’t go over well with the establishment. The Sabbath demonstrates God’s concerned for our well-being. 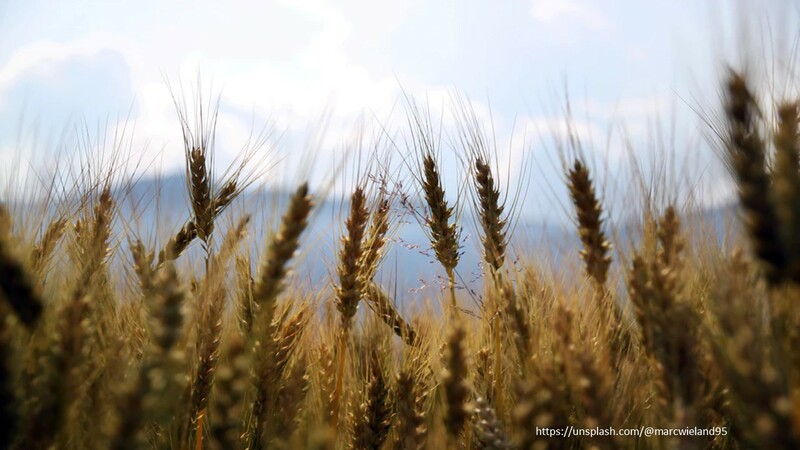 To paraphrase Jesus’ remarks to the Pharisees, “The Sabbath was made for humanity, not the other way around.” The Jewish faith, at the time of Jesus, emphasized the Sabbath so much that it was seen as a mark of faith. 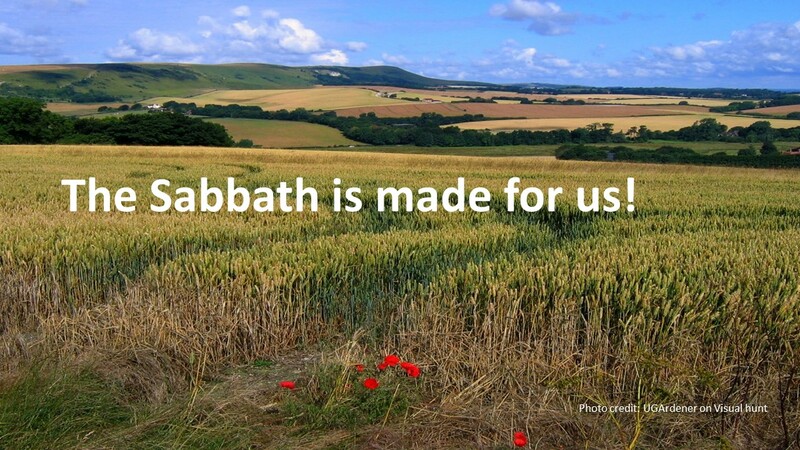 However, there were those within the tradition that challenged this idea and reminded people that the Sabbath was made for them, not the other way around. But the legalists would have nothing to do with that. As the Sabbath is made for us, we should consider how it was understood in the early church. Paul tells the Romans that some think one day is better than another while others think all days are equal, and in Colossians he says we shouldn’t let ourselves be judged over the Sabbath. From the writings of Paul, the early church felt it had the right to shift the Sabbath from the last day of the week to the first, in honor of Jesus’ resurrection. That said, Paul does not suggest we forget about the Sabbath. We still need rest. Only it’s not rigidly required that our rest occur on a particular day of the week. On the one hand this is good for it gives us freedom. Unfortunately, this freedom has led many to forget the Sabbath altogether. Jesus is concerned for our well-being. He gets upset with the legalism of the Sabbath laws of the first century. One must eat, but the religious leaders of the day were making that difficult. Jesus’ teaches us here something about the gracious nature of God. There is a dangerous tendency to see the law and things like the 10 Commandments as restrictions on our freedom. But that’s not why they were given. God didn’t give the commandments as a test we have to pass in order to go to paradise. Instead, the commandments are rough guidelines within which we can enjoy life, starting now. The Sabbath Command is a reminder that we are not able to run ragged 24/7. We need rest, both daily (which is why night was created), and for an extended period at least once a week. The Sabbath is a day we can put our employment concerns aside, and just enjoy the creation God has given us. It’s a day we can enjoy the families that God has given us. 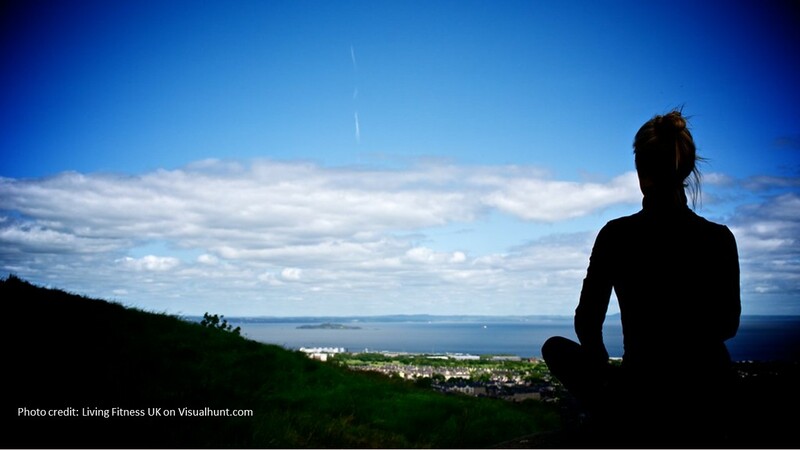 It’s a day we can catch our breath and look around and give thanks. 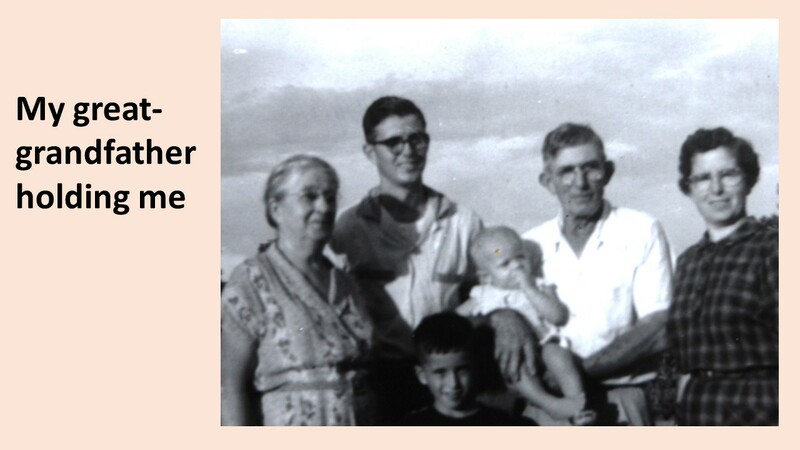 When I was a small child we lived on a parcel next to my great-grandparents farm. On occasion, we ate Sunday dinner with them. First thing my great-grandma did when she got home from church was make biscuits. Much of the dinner was already prepared but the biscuits had to be fresh. First, she’d take some kindling and light a fire in her wood burning stove. 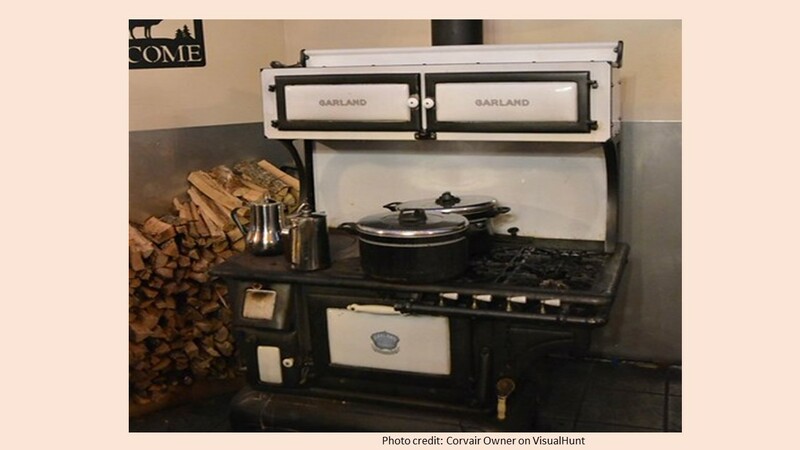 Don’t get the idea that we were hillbillies because my great-grandma had a perfectly good gas range sitting in her kitchen, it’s just that she preferred the wood burning stove for most of her cooking. After her death in the summer of ’64, the wood burning range was taken out, but before then I have good memories, as a five or six year old, gathering up chucks of stove wood my great-granddaddy had split. As the oven heated up, my great-grandma mixed up some flour, salt, and baking soda, cut in some lard, then added buttermilk. She’d knead the gluey glob till it was smooth, rolled it out, and cut out the biscuits. Soon a heavenly scent filled the room. When the meal was over, if it was meal without pie, my great-granddaddy would get up and go to the pantry and come back with a jar of molasses or honey. He’d drop a big plop of butter in his plate, pour on the sweetener, and mix it up real good with his folk. Then, throwing away all manners, he’d sop it up with the left-over biscuits. It was good. Afterwards, we kids would run out and play while the adults retired to either the back porch or, if in winter, the parlor. When we’d come back in an hour or so later, they’d all be napping. Jesus in this story doesn’t negate the Sabbath. He just encourages us to use it as it was created, for our benefit. Take a deep breath. Receive the Sabbath as a gift from a gracious God. Amen. I heard the idea of the Sabbath as the first labor law in a lecture by Dr. Dale Bruner. In a commentary on Exodus written around 180 AD, Rabbi Simeon ben Mensasy refers to an older saying, “The Sabbath is given to you but you are not surrendered to the Sabbath.” See William L. Lane, The Gospel According to Mark (Grand Rapids, MI: Eerdmans, 1974), 119. Although I have never raided another watermelon patch, I did once spoon out the center of a halved watermelon chilling in my grandfather’s refrigerator. He wasn’t too happy about that. 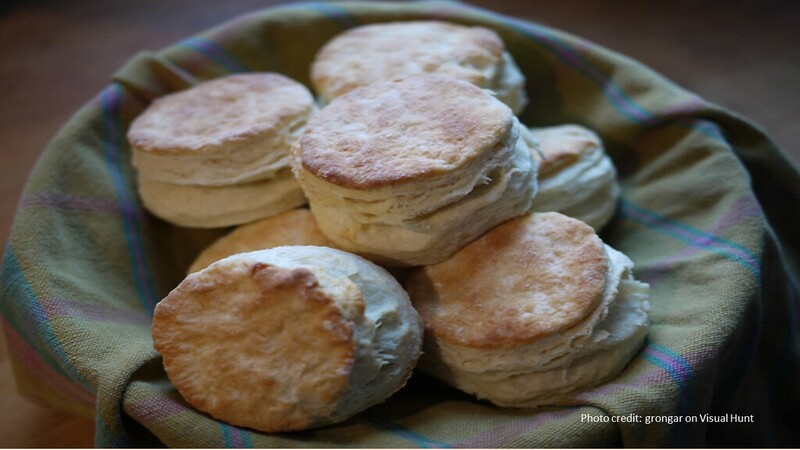 What a wonderful memory about your Great-Grandma’s biscuits. I’m sure they were delicious. Wishing you a restful week and a Happy Easter. 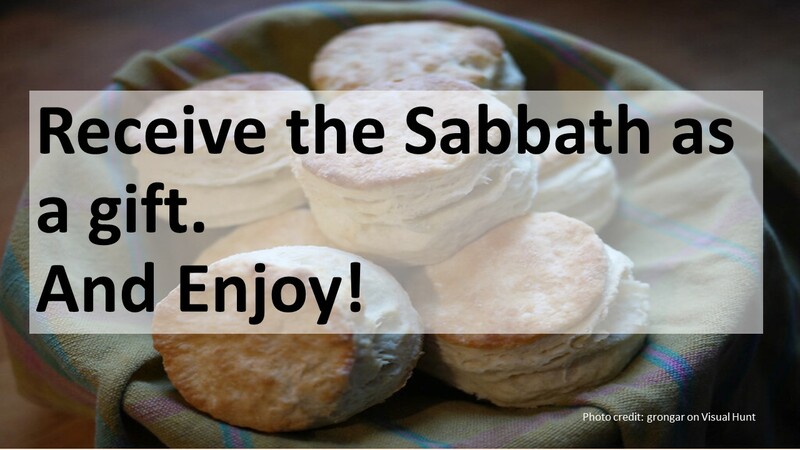 Thank you, Jeff, for this refreshing insight on the Sabbath, and thank you, God, for the gift of the Sabbath Day. Thank you, Jeff, for your refreshing insight on the Sabbath, and thank you, God, for your gift of the Sabbath.